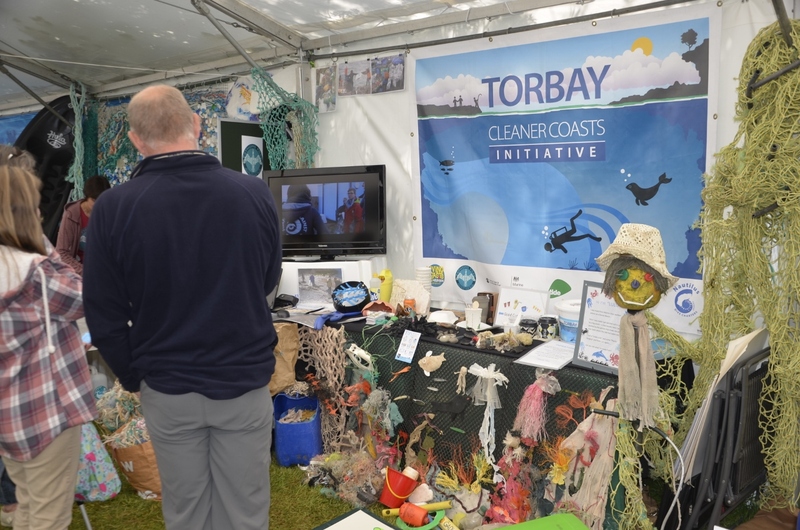 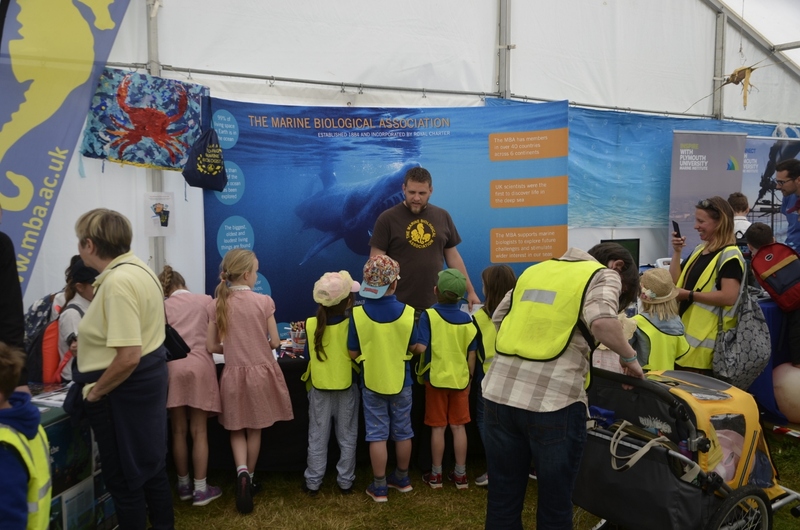 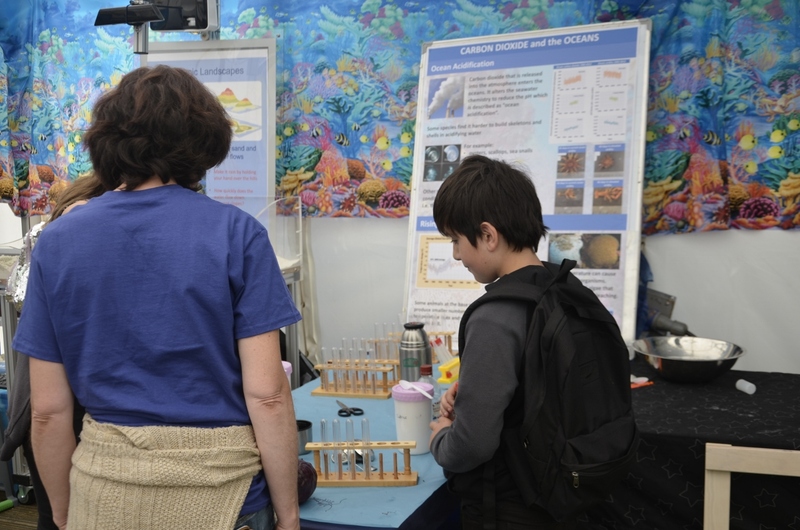 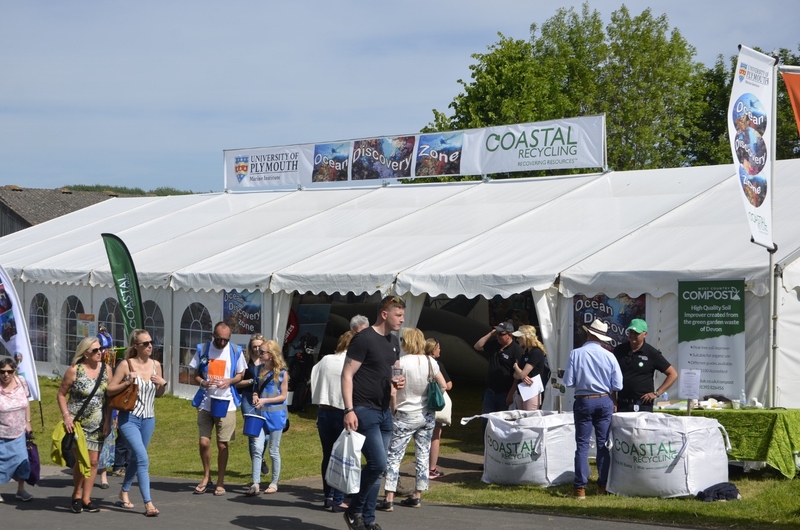 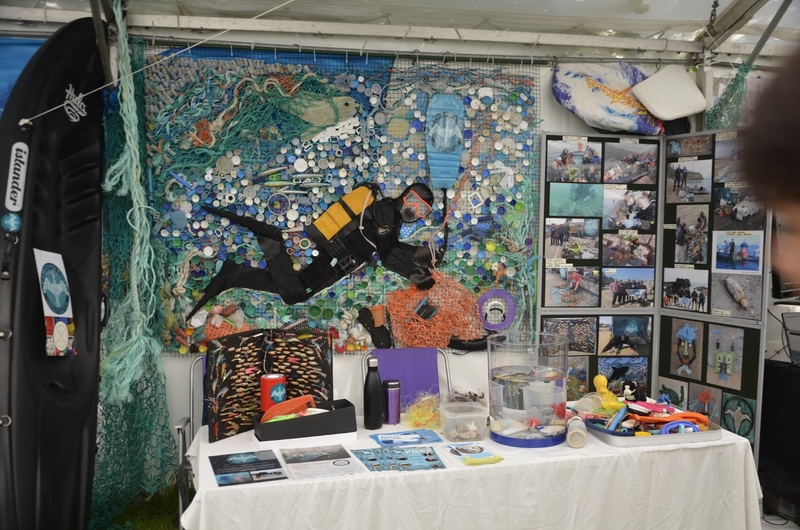 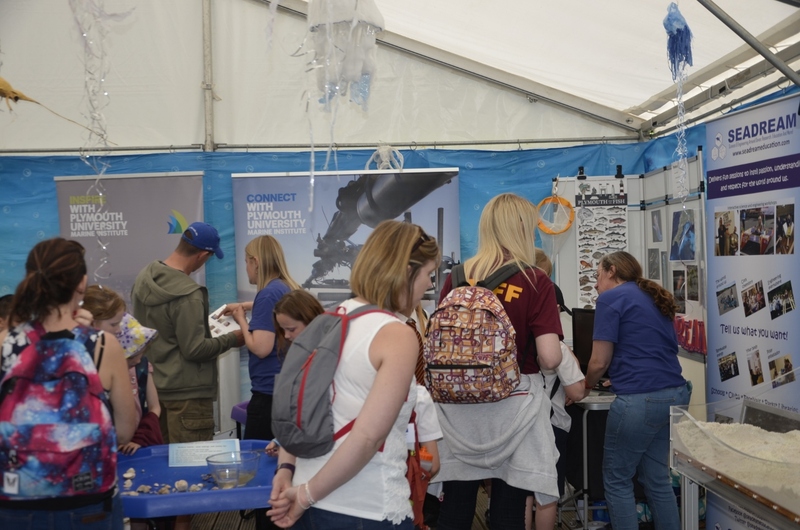 In May we co-organised The Ocean Discovery Zone at 2018 Devon County Show, May 17, 18, & 19. 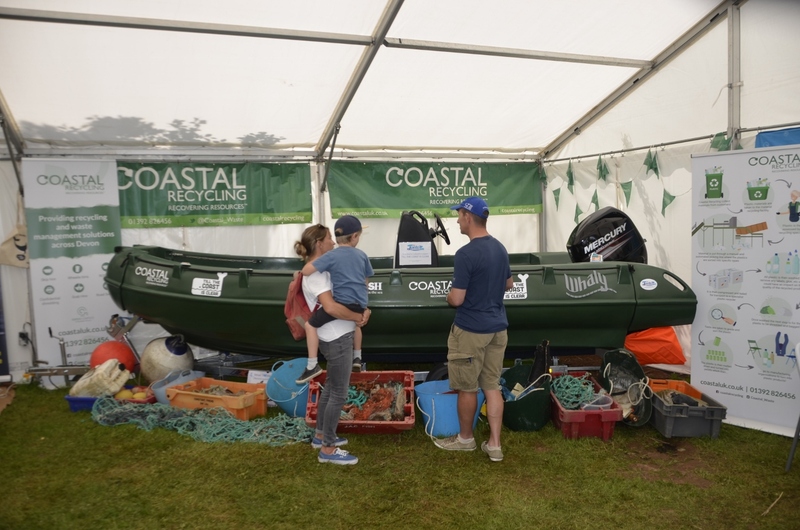 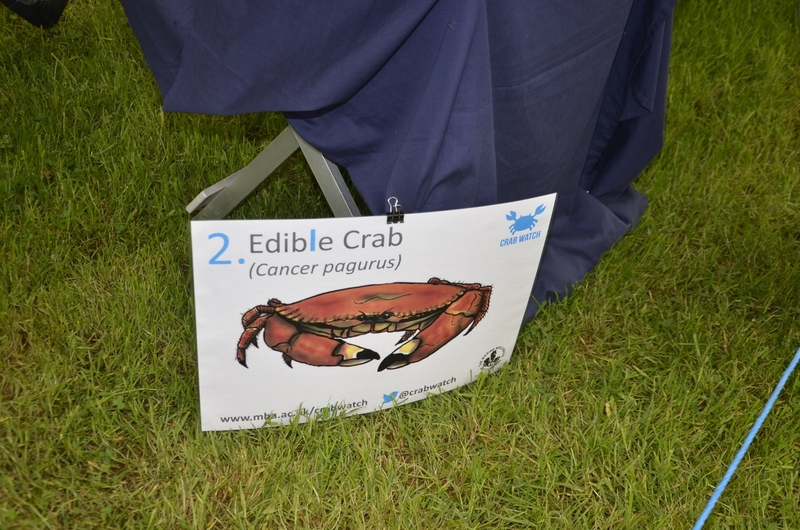 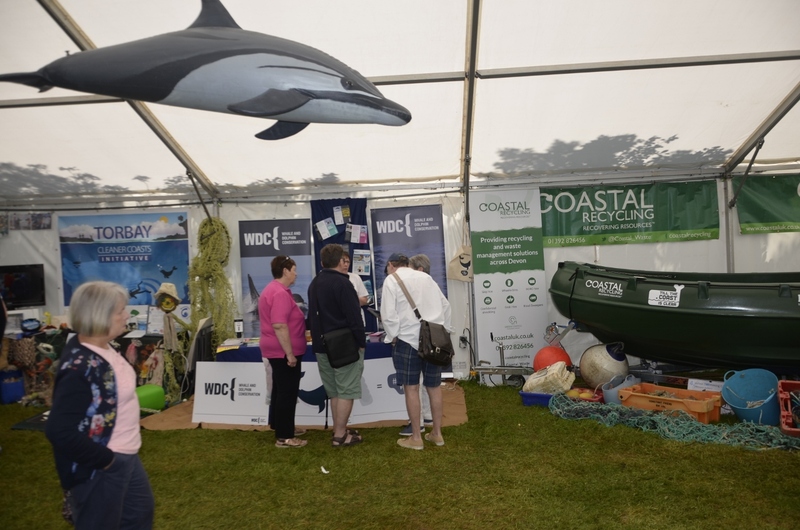 This is a new attraction at this well attended show, and our pavilion featured engaging presentations and activities from some of the leading marine conservation organisations in the South West of UK. 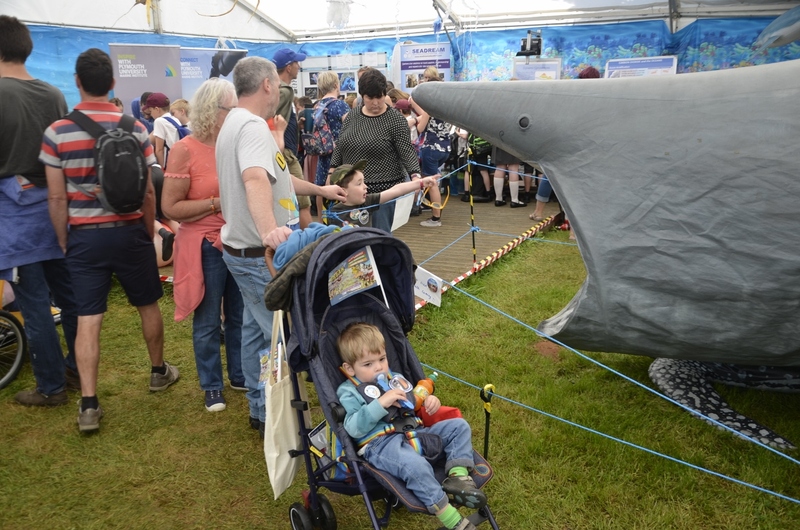 We provided lots of life sized marine wildlife models and our expertise, and aimed to partly recreate the amazing visual experience we first provided in 2005 for the Festival of the Sea at Souter lighthouse ( see 2005 photo album ) . 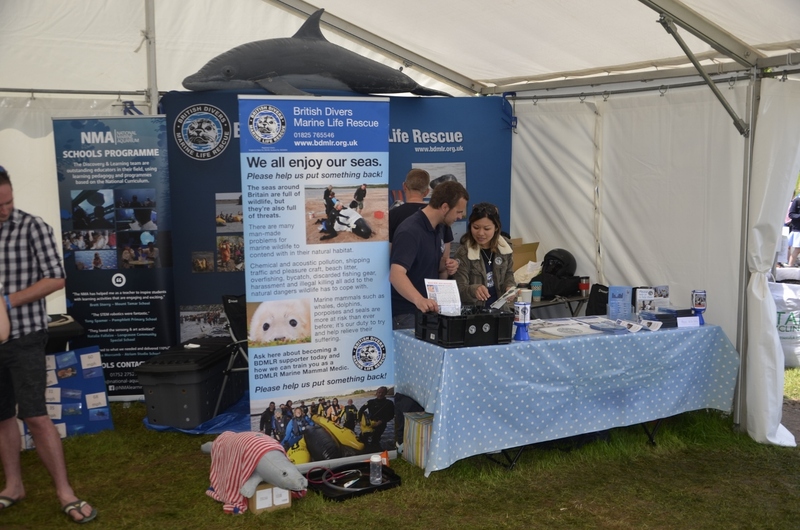 Our creatures large and small provided the realism and wow factor to enhance the many engaging activities provided by the different organisations participating. 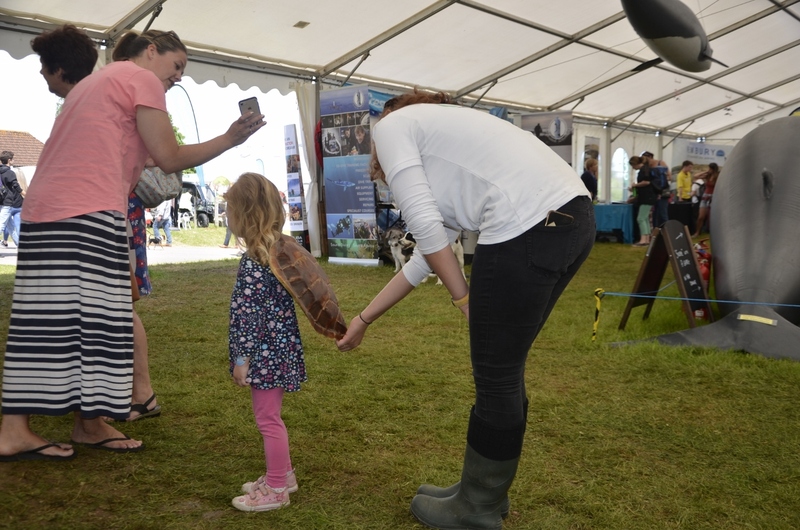 Show attendance for 2018 was almost 90,000 over 3 days, and we estimate that over 5000 visited the Ocean Discovery Zone, including 16 different schools. 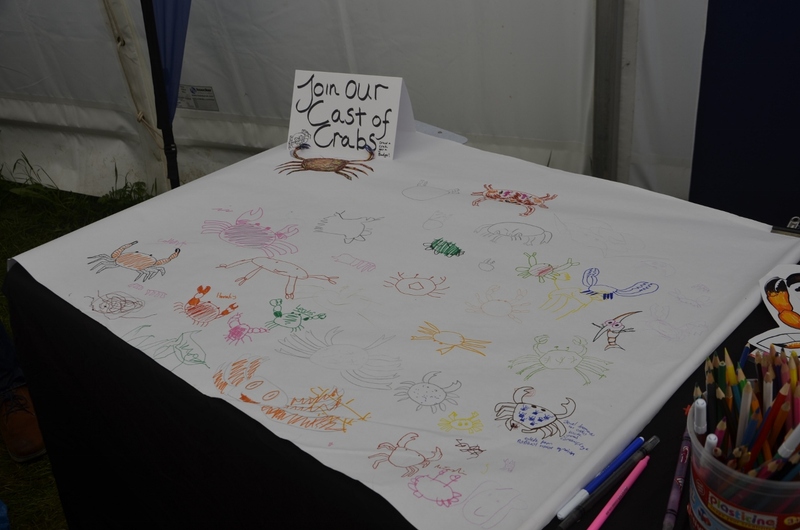 "Dad, I could stand up inside its mouth"
..and here is the MBA's Crabwatch "cast of Crabs" as drawn by the visitors. 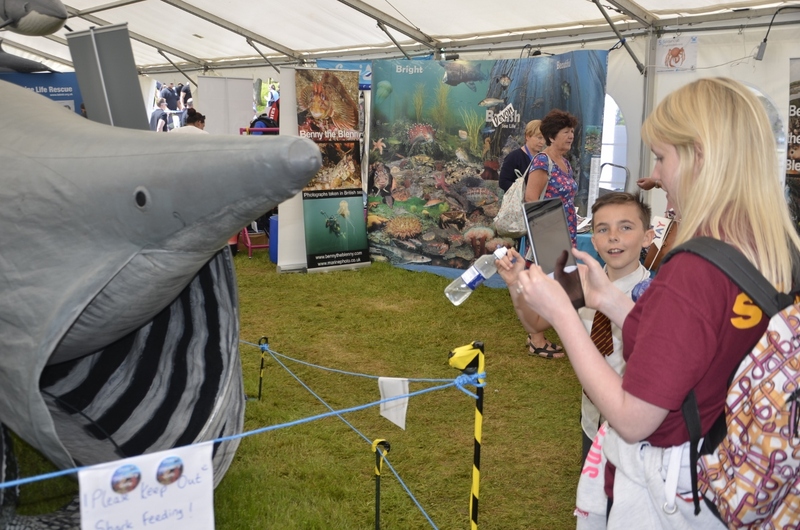 People like to contribute...even a few plankton sneaked into the cast, and why not ! 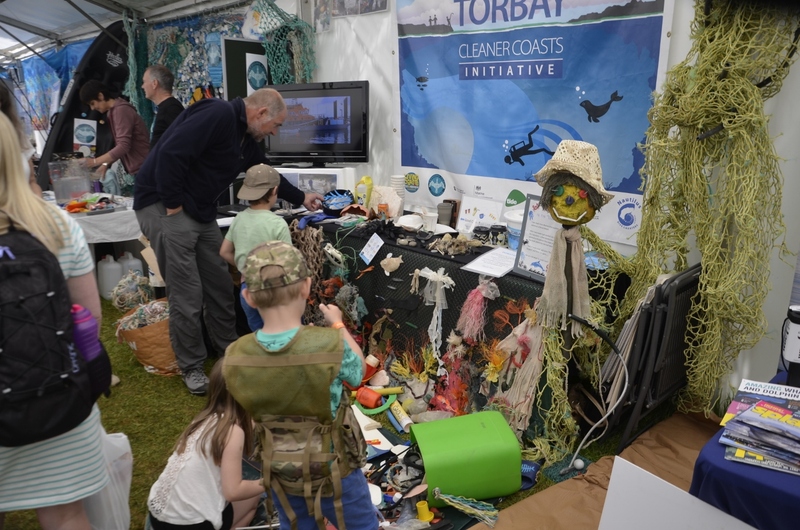 Learning about marine litter with simple activities provided by people who care...school commented " engaging and informative for the children, great ideas to take home to continue with teaching "